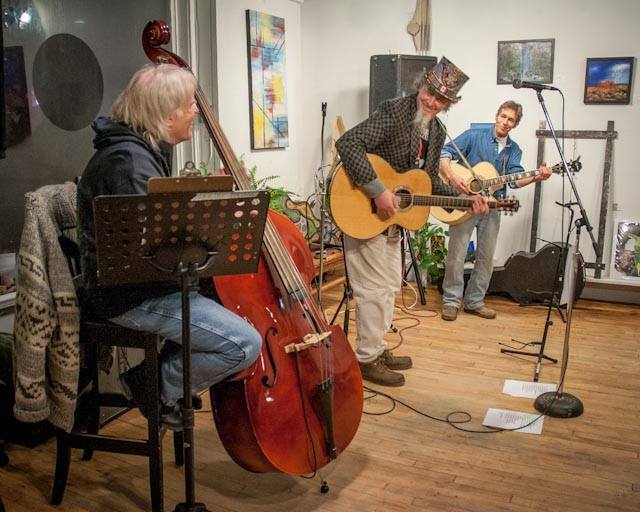 John Foreman brings his merry band of musicians for a monthly open microphone night with featured performers. All strummers and drummers, pluckers and bowers, clappers, singers and penny whistle blowers are welcome to sign up. We are all stars! Performers play 3 songs –and more later if time allows. Last Friday of each month. OPEN MIC NIGHT! John Foreman's 7-11 Open-Mic Cafe!